In 1989, the Berlin Wall came down, Madonna was topping the charts and big shoulder pads were in fashion. Here at BeSafe, we were busy developing our very first rear facing child car seat – back then a new phenomenon to take child car safety into the future. As the champions of rear facing travel for children for the last thirty years, we have embraced this safety message in everything we do. Even the accessories that we design are compatible with rear facing travel. It’s also our mission to make the very best car seats. In 2013, we launched a new rear facing seat that quickly became an all-time favourite: the iZi Plus. It is truly optimized for rear facing safety, lasts up to approx. 5 years of age and fits into many cars, as it does not require ISOfix. Several test institutes have confirmed the comfort and safety levels of iZi Plus – it passed the world’s toughest crash test, became test winner at auto, motor und sport, became test winner at Folksam and won 4 years in a row at bäst-i-test.se. In 2019, we are now adding two new features to this rear facing-champion and are launching the new iZi Plus X1! Our new BeSafe iZi Plus X1 is the latest in a long line of products designed to deliver the highest levels of safety – every time, every day. 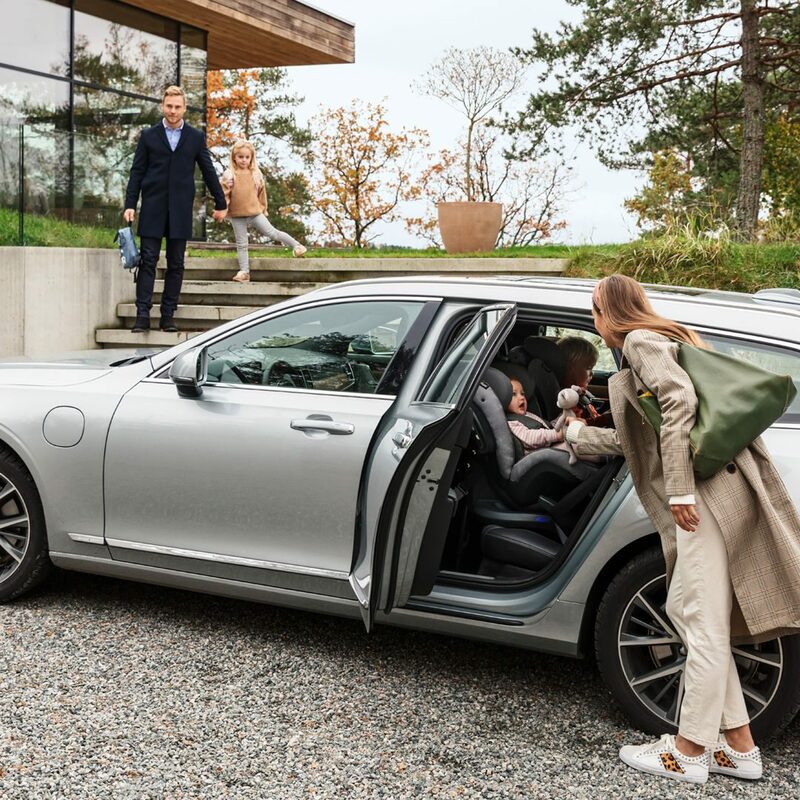 In all our rear facing car seats, we’ve included a host of features that will keep your child comfortable in the safest position for as long as possible. Read more about why rear facing is the safest direction of travel. The newest generation of the additional side impact protection (SIP+) is an additional safety feature that is placed on the side of the child car seat. It functions like the car’s crumple zone and absorbs energy, but it also reduces the distance between the seat and the door, thus shortening the movement in a side impact and resulting in less force on the child. Safety is our biggest concern but our commitment to superior design also ensures our car seats offer maximum comfort and ease of use. The improved, even softer body hugger with special foam inserts in the seat gives especially smaller children more support and an even more comfortable sitting position. There’s an installation option that allows you to partially hover the back of the seat’s base, which allows you to counter-balance sloping vehicle seats. This gives your child a great recline position sitting rear facing at any time. Additionally, there are three possible recline positions without needing to reinstall the seat. The adjustable leg space accommodates your growing child to keep them as comfortable as possible while rear facing. You can adjust the harness and headrest at the same time. 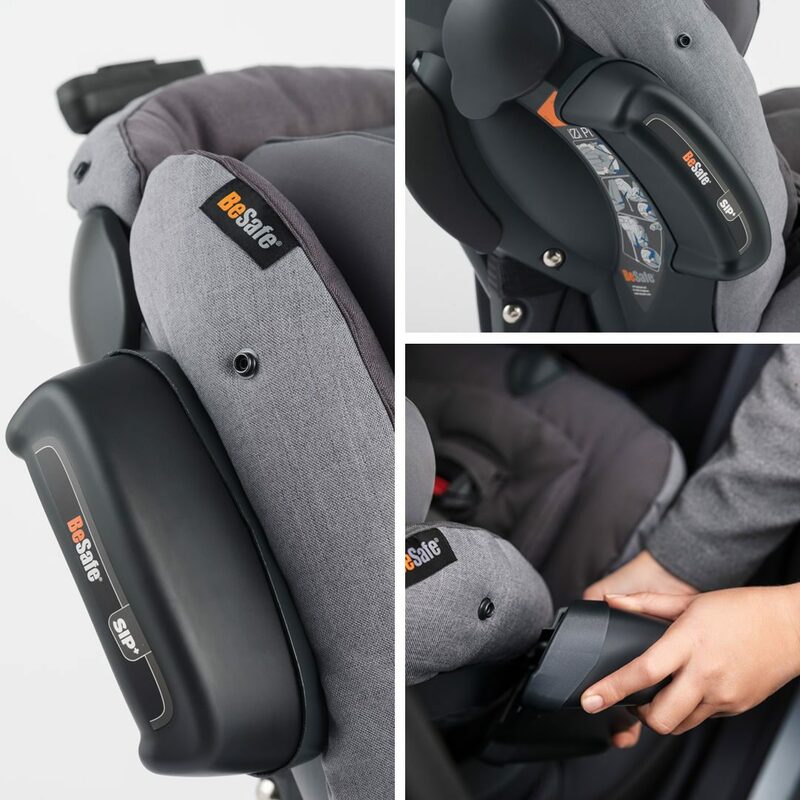 Parents also love the magnetic belt ‘assist’ which make it easy to place your child in the seat without having to fiddle out the belts from beneath your child. 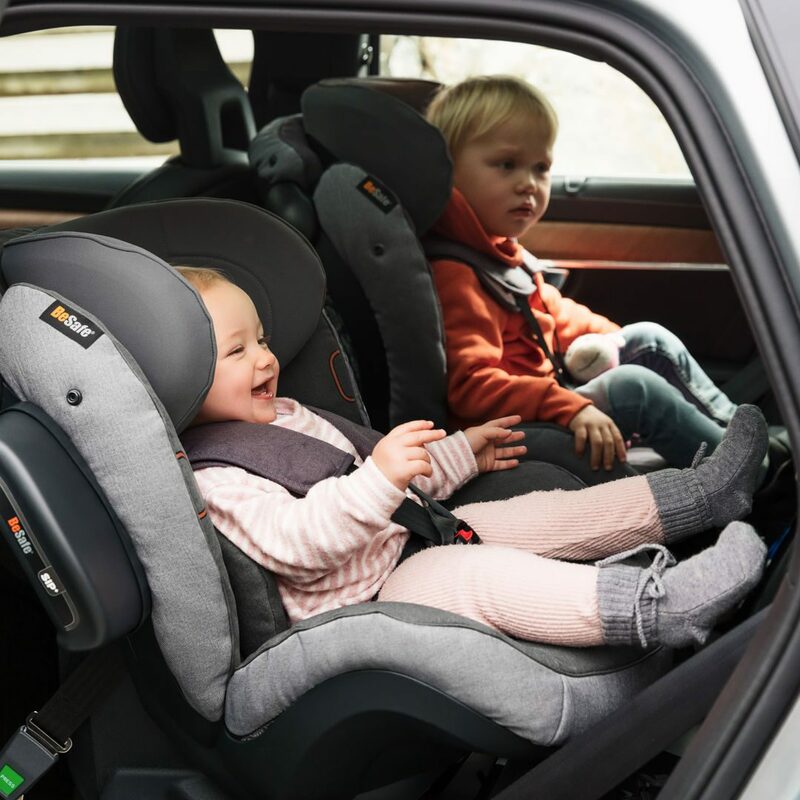 For extra comfort on the journey, the car seat sits in a high position in the car which gives your child a great view out the back and side windows. We know you don’t want to swap car seats continuously as your child grows, which is why you can use the new iZi Plus X1 from approx. 6 months up to approx. 5 years. Thanks to the supportive body hugger, you can use the iZi Plus X1 early on and the extra leg space means that it will grow with them. The machine-washable cover is easy to remove and clean too, for extra longevity. Our goal at BeSafe is to give you the peace of mind to fulfil your family’s spirit of adventure. Exploring life together is how you create some of your most treasured family stories – woven from special memories of journeys, big and small. When you can do that in style, comfort and without worries about safety, we know that we have succeeded in our mission.